Though many, perhaps even a majority, of our volunteers find their way to us because we care for a loved one, there are a number of people who end up serving us because of kismet. Such is the case of our Volunteer Spotlight honoree. 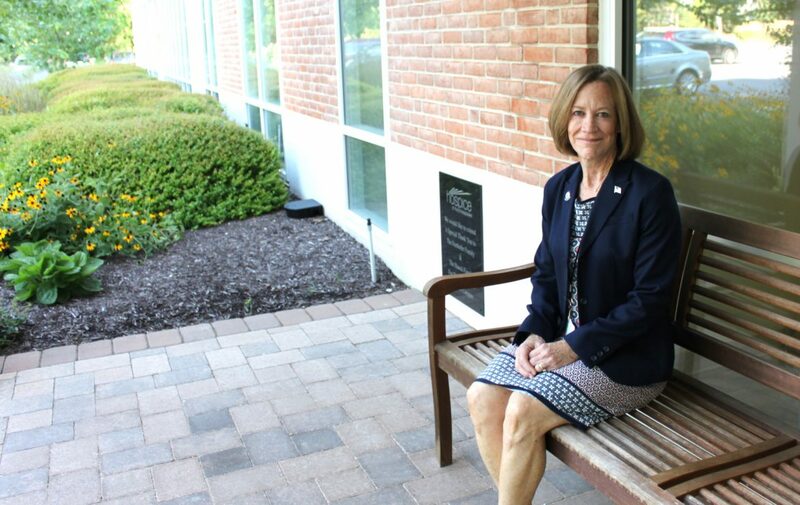 At the beginning of 2014, the Annapolis resident was looking for ways to give back to the community and found herself clicking through the Anne Arundel County Volunteer Center’s online opportunities. She was immediately drawn to our posting for Veteran-to-Veteran volunteers. Lucky for us, because once someone finds their thing, they want more of it. Bremer is a patient care volunteer and vigil volunteer to both Veterans and non-Veterans, actively serves on our We Honor Veterans Committee, represents us in the community at outreach events and helps plan our Veterans events.